Below Sampsonia Way presents an excerpt from Indian author Vijay Nair’s most recent novel Let Her Rest Now which was published in June of 2012 by Hachette India. Vijay Nair is a writer from Bangalore, India, currently in the United States for a residency at City of Asylum/ Pittsburgh. 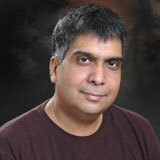 He is a published fiction writer, playwright, critic, and columnist, as well as an organizational coach and consultant. He started his own theater group Still Water in 2001, and has been a writer in residence and the University of Kent- Canterbury and the Iowa International Writer Program. In 2006, Harper Collins India published his first novel, Master of Life Skills. Let Her Rest Now, which follows the trials of Neha as she tries to uncover the gruesome details of her mother’s death, is Nair’s most recent novel. It was published by Hachette India on June 15th, 2012. First the traffic, then the forest with the monkeys, then a herd of elephants, then a lone bison- the world turns beautiful as I leave it behind. The rain that was a mere trickle half an hour ago is a steady downpour in these parts, washing the trees and turning the leaves a lush, glistening green. The sly creeks in the hills are small waterfalls that gurgle their jest. The road is treacherous now with “Careful Hairpin Bend Ahead’ signs that slow us down. Man and Nature have conspired to gift travellers a longer time to take in the breathtaking view. I have taken this road many times as a child. It used to feel ominous during those days; a painful reminder that the home I shared with my mother during the holidays was being left behind. An old familiar ache takes over, priming me for the restless nights and the relentless jibes and bullying of the older children in the days that, once, lay ahead. We grow up. We don’t learn to forget. The driver is moved by Nature’s elegance. He has discarded the sullenness he had affected after I reprimanded him for trying to overtake a bus in the new four-way linking Bangalore with Mysore, and almost getting us squashed by the angry man at the wheel in the process. Drivers of hired cabs almost always try this on unsuspecting passengers at the start of a journey. To test how far they can be pushed. The driver wants to know the purpose of my visit. Do I have family living here? He looks dissatisfied when I tell him I have work in Coonoor. I have caught him checking me out in the rear view mirror many times. I am not surprised. I am hardly the sort of a passenger he ferries routinely from the congestion of the city to the starkness of the hills. I have refused to step out of the car for lunch even though it has been nearly five hours since we started from Bangalore. I must have appeared all the more vulnerable to him; a young woman, picked up from the airport and making a seven-hour road trip alone. My petite frame and the confusion I customarily carry in my eyes makes me fair game for all type of men. Drivers of cabs and auto-rickshaws, bus conductors, cinema hall ushers, Delhi eve-teasers and sometimes even vegetable vendors, think they can take liberties with me. The malls with branded clothing lines that endorse empowered women in business suits might have sprung up in the cities but the man in the street still wants to punish me for walking and travelling unaccompanied. He is usually outraged when I refuse to take the bullying lying down. My appetite for grief is insatiable. I have cried for most part of the trip. Not expansively. Not in large heaving sobs. But the tears have flown unrestricted as small hamlets and villages have sped by. There is no way he doesn’t know as I sit behind him, I have given myself to unmitigated sorrow. Thankfully, he has not tried to make conversation until now. After I have composed myself enough to ask him how much longer it’s going to take us to reach. The handful of people who had turned up afterwards had commended me for being strong. I had quietly gone about attending to all the chores that death brings in its wake. And hers had been a particularly messy one. Even the police had played a part in the funeral arrangements. The presence of pesky journalists hadn’t helped. When you decide to go like that, you don’t just lose your life, you lose the right to any privacy that you had a claim to when you were alive. My mother, after all, had made the cardinal sin of getting herself murdered. For a long time after her death all I could feel was an enormous rage directed at her. I stayed up nights thinking she had brought the violence on herself. If she had been a different person and led a different life, it wouldn’t have happened. Respectable folks don’t get killed like that. And didn’t the murdered always invite the brutal retribution? They lied, they cheated, they blackmailed, bringing out the worst in others. I knew my mother was capable of all that. Who better than me to testify against her way of life? I knew everything she had kept hidden from the world. Her shrewd appraising gaze that could sum up what a person was worth in a matter of minutes. The way she could figure out what she would be able to extract from a person. Her ruthless streak when it came to realizing her own agenda. She was incapable of giving unconditionally. I was the only exception to the rule, and ironically enough, I had wanted nothing from her. Love always demands reciprocity and I had not been able to love her for a long time, at least not in the way she wanted me to. 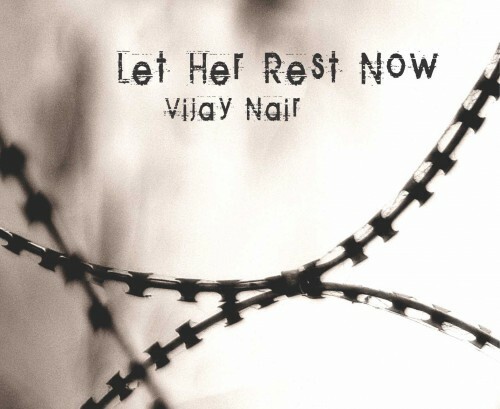 Excerpt from Let Her Rest Now by Vijay Nair, Hachette India 2012, used with the author’s permission.